I always find it really magical when your clients come back to you time and again for photo shoots. Although a photographer and model only have an hour or so so get to know each other during a shoot there is a trust that occurs between the two parties and it can be wonderful connection. I met Gabriella on a mini yoga photo shoot so in fact we only had half an hour of shooting together. I was delighted when she called after our initial shoot to invite me to her stunning property in Bedgebury where she has the most incredible plans to establish a Yoga and wellness centre. We have worked together now on a number of occasions and I’m in awe of her passion and insight every time we meet. With plans to create more images together, I feel very privileged to join and document Gabriella on her Yoga Journey. 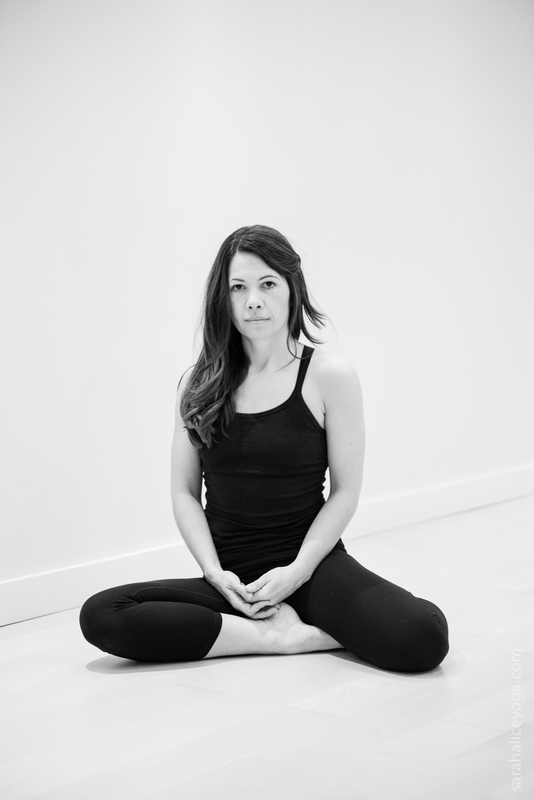 A few weeks back I had the pleasure to meet and photograph yoga teacher Jennifer Nicholas. I love photographing pregnancy and as you know, I adore shooting yoga, so when Jen mentioned in our initial correspondence that she specialises in teaching pregnancy yoga and that she, herself, was actually 33 weeks pregnant I knew that I wanted to work with her. We were blessed with a beautiful golden morning in Hove on the day of the shoot, Jen was 35 weeks pregnant at the time and absolutely glowing. Her practice was inspiring and a wonder to capture. 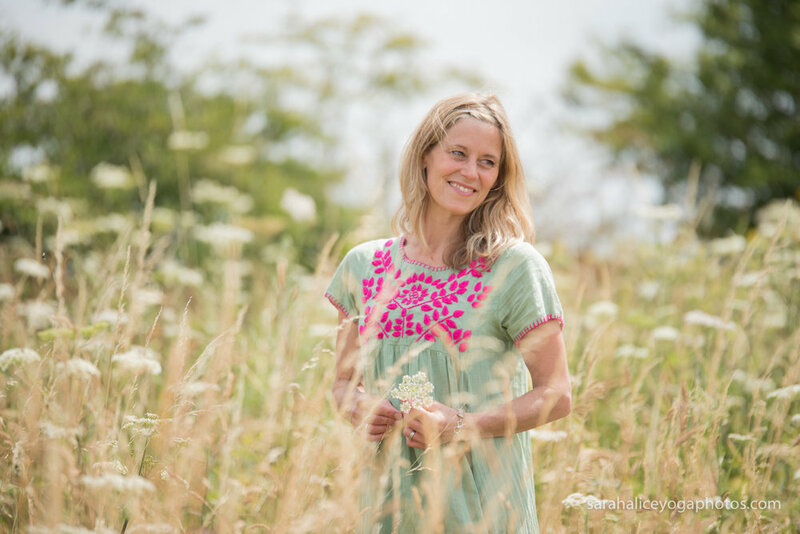 Based in Brighton, UK Earth2Soul helps mothers, and their families, to improve their health and wellbeing through yoga, real food and natural parenting. 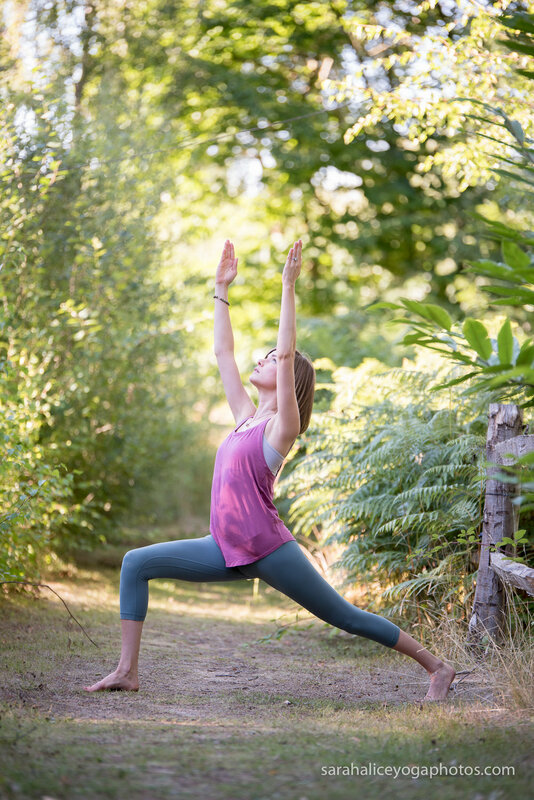 I met Verity on a beautiful July Summers day (I can’t believe how quickly the months have flown by since then) to create a yoga shoot at the stunning Kingdom at Penshurst. I instantly loved her energy and despite wanting to shoot I also felt that I wanted to sit down and listen to her yoga journey. We had a couple of hours playing in the light and it was a really special shoot. 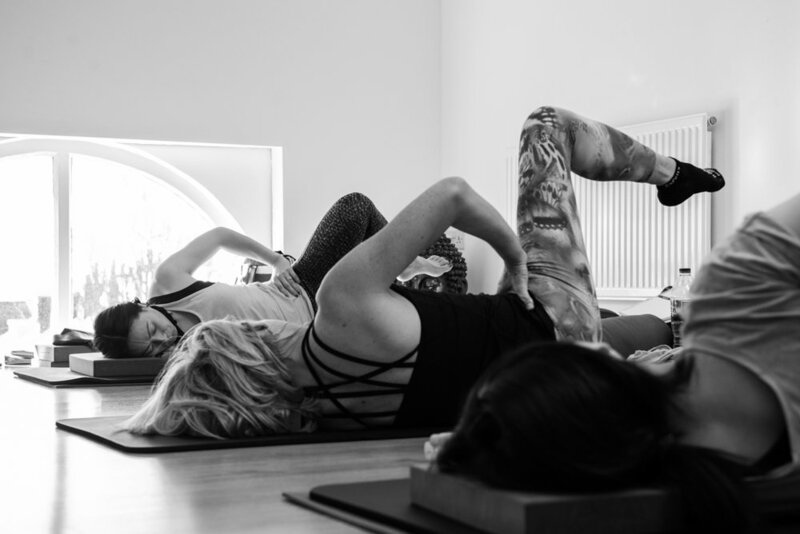 “Join Verity at the stunning @kingdom_pen studio for an afternoon designed to inspire you to better health and living this Autumn. Learn how to channel your energy appropriately to promote optimum health through this transitional season. Cultivate clarity, focus and calm through practices that synchronize with the natural rhythms of nature. ✧ You will learn the basic, key principles of Ayurveda that can be applied to move gracefully through the autumn months. ✧ Discover inspiring Autumnal tips for your diet, digestion, daily routine and yoga practice. ✧ Celebrate the change in seasons, as a powerful time for focusing energy and setting new intentions. 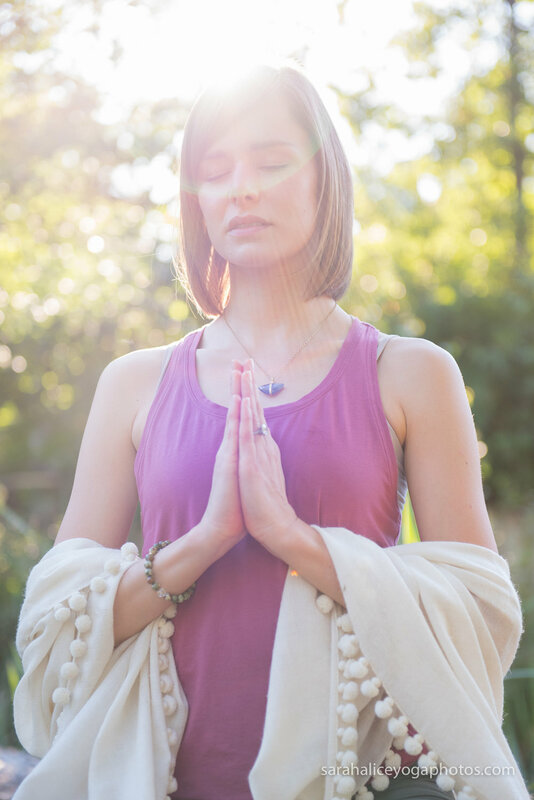 ✧ Enjoy a yoga practice and guided meditation focused on balancing the air element, for sability and mental clarity. A few months back I went to a yoga class at a local studio to practice as a student. I love to take off my teachers hat and be held in another teachers space. This teacher gave me a lot of corrections as my lower back just loves to bend. 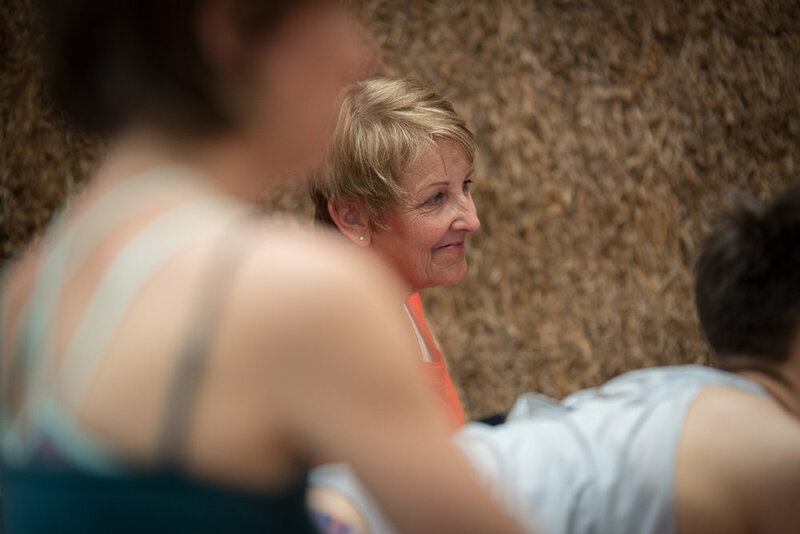 After the class we spoke and she recommended that I seek out teacher called Claire Russell Burns who specialises in a yoga that fines tunes the muscles of the core (essential work to support the lower back). So I went home and wrote her name on my big white board to remind myself to follow it up. Call it coincidence or Universal synchronicity because only a few days later Claire actually contacted me saying that I had been recommended as a Yoga photographer. I took it as a sign that we were supposed to cross paths. Claire had a very clear idea of what she wanted to portray in her shoot. Working with mainly women (Restore Your Core is a whole body exercise program designed to support women who are experiencing core issues such as diastasis recti, pelvic floor issues, incontinence, prolapse or persistent back pain), she wanted a earthly feel and colour scheme. She also wanted to share the movements her yoga enables in the body. A few weeks after our initial chat on the phone, we met at the top of Devils Dyke where the hot summer had created a golden glow in the dry fields of grass. It was just the colours we had hoped for and the weather was just perfect, a little cloud cover with the warmth of the sun shining through. I loved everything about this shoot especially getting to know claire. 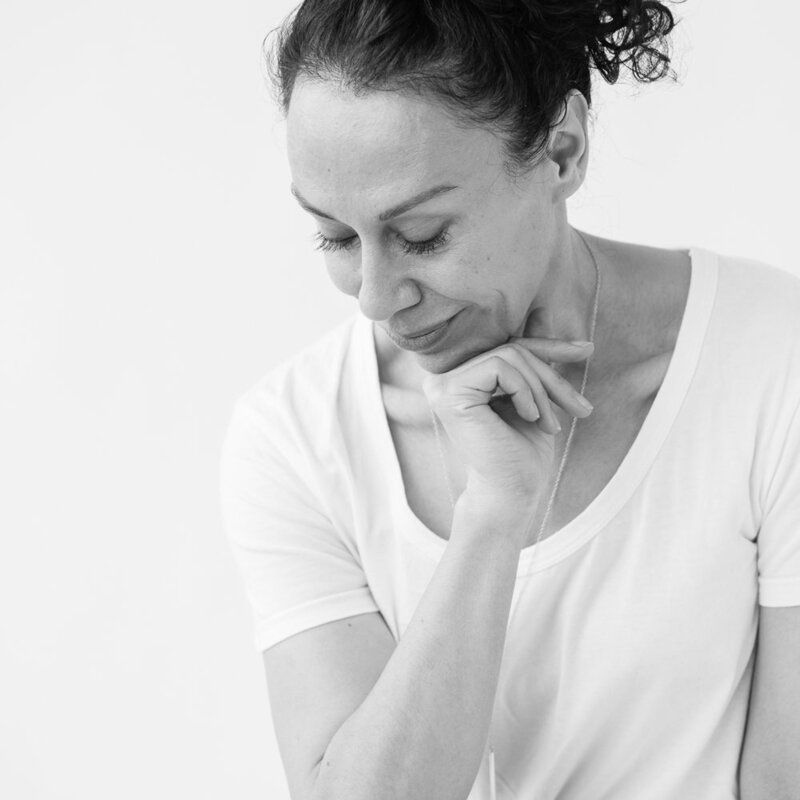 She has a beautiful new website: http://clairerussellburns.co.uk where you can read more about her ‘Restore your core’ classes and also her Mum and Baby Yoga and Yoga for better sleep courses. "Anaya is a highly qualified pilates teacher with 10 years experience of teaching all levels of mat and studio equipment classes. 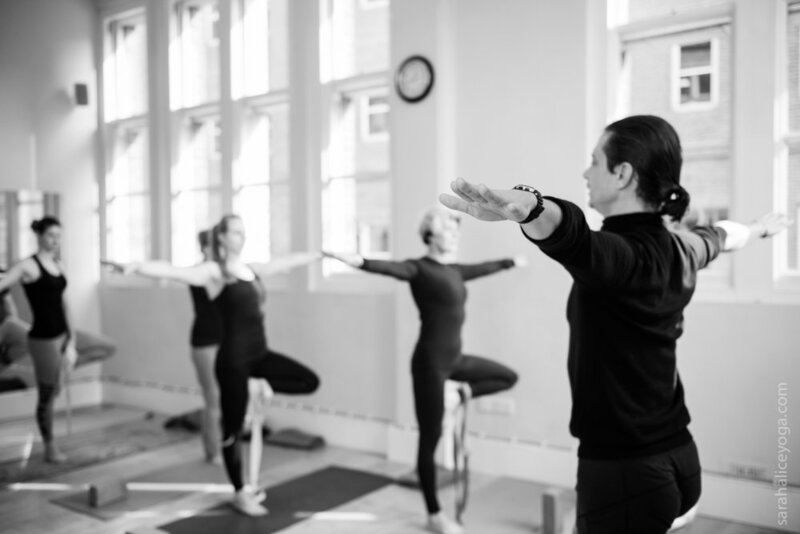 She has owned her own studio in London and worked closely with physios for over 7 years to demonstrate and learn about how pilates can compliment rehabilitation. Her specialisms include movement for sporting performance, back care, rehabilitation, pre- and post-natal, and fascia. She is currently working with elite athletes at Sussex Men’s Cricket and studying a diploma in Slings Myofascial Training with Art of Motion. Anaya believes that the beauty of Pilates is that it is an inclusive form of exercise for people of all abilities. She carries this principle through her teaching and is a true example of this. Anaya has always enjoyed playing competitive sports and played Junior England and county cricket for Sussex Women’s between the ages of 10 and 18. However, her chance of advancing to a higher level in this sport was cut short after suffering from back pain. At the age of 13, she was diagnosed with a scoliosis and then two years later, the excruciating pain of two prolapsed discs in her lower back. This latter episode of back injury led to surgery on both discs. The surgery, however, was only a short-term solution and the back pain continued. Anaya sought medical advice from a back specialist who said that she could either have further surgery to fuse the vertebrae together or she could start practising Pilates. For her, the second option was obviously the more favourable. In 2002, she began practising Pilates and was amazed by the results. She rarely experiences back pain and is now stronger than ever - participating in sports again." She has just launched Flex and Nourish workshops which you can follow on instagram @flexnourish and I can't wait to attend the next one to capture some images of the amazing food they create. Last week I taught my first pregnancy yoga class and it was such a joy. 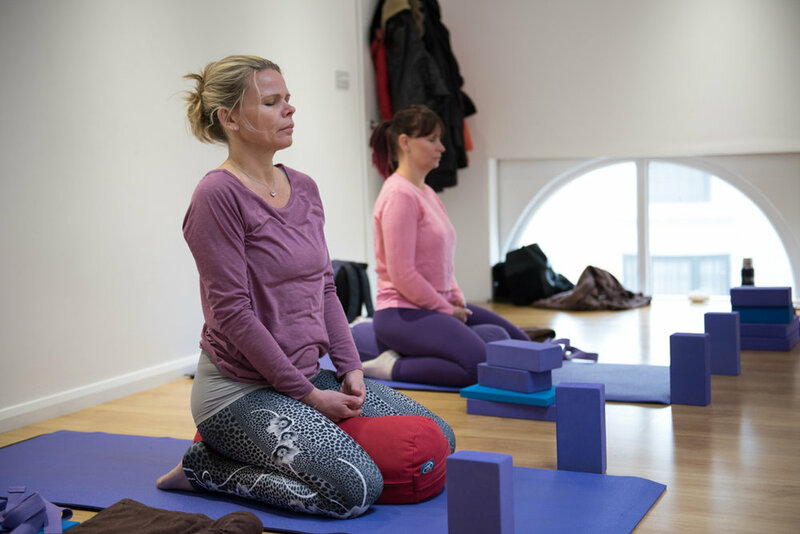 Pregnancy yoga is a specialist area that requires additional training above your initial 200 hour qualification. Yes I had previously read some books and had a knowledge of modifications but whenever a student came up to me before class and told me about their pregnancy I always had a moment where I worried about not being able to guide them enough. So when I met Clare at Harmonise Training Academy whilst completing my Pilates Instructor training and she told me of the post graduate course in Post and Antenatal training I signed up on the spot. It was an incredible four day course that taught me so much, not to mention meeting such a lovely group of other teachers on the course (I love the friendships made on teacher trainings, so many kindred spirits). Having not had babies of my own yet was a real eye opener to just how amazing, in context to flexibility and strength, the female body biologically is, in the way it adapts to growing a baby. When educated on this level it became clear that why specialised classes are recommended. So now gorgeous pregnant Yogis and Pilates students, come see me in class. I confidently know just what to do with you or better still sign up for a pregnancy course. I had the pleasure of meeting Nianna Bray at Wanderlust in New Zealand back in 2016. I was so inspired by her work with the female energy and loved connecting with her, so when she invited me to attend a Womens Weekend in Herfordshire I jumped at the chance. Here are some photographs of the weekend. 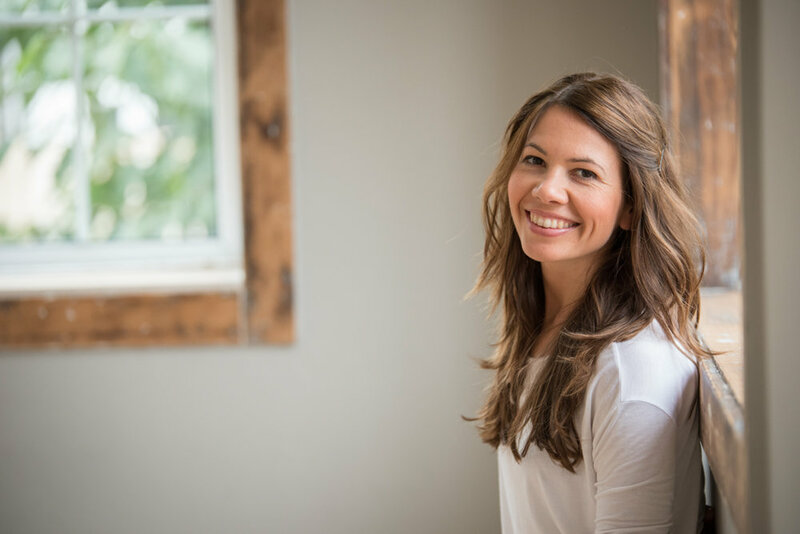 About Nianna : "I teach yoga because it changed my life in undreamed of ways and I am passionate about sharing this knowledge with others. I never would have thought I would be where I am today. I am living my dream. I won't say it has been easy but I will say that it has all been worth it. Yoga and Tantra are a science of the heart, a technology for mind and body, that returns us to our soul essence. It reminds us that fear is only a marker that we are truly living and that love, freedom, and connection is what we really want. We are born and then we die, what we do in between is up to each of us. " Visit: http://niannabray.com for more information. Well 2017 was a busy year! So busy infact that I had little opportunity to sit down and feature the photographic work I have been doing my blog. So in 2018 I am aiming to amend that, starting by catching up and sharing the yoga and pilates shoots captured. To start off, here are a few pictures from the wonderful relaunch of Studio IO in Brighton. I was delighted to be invited along to a day of complimentary yoga classes and beautiful spread of food and green juices to celebrate in the evening. For more info on what the fabulous Studio IO has to offer check out their website: http://studio-io.co.uk (You may recognise some images that I shoot on there from 2016). 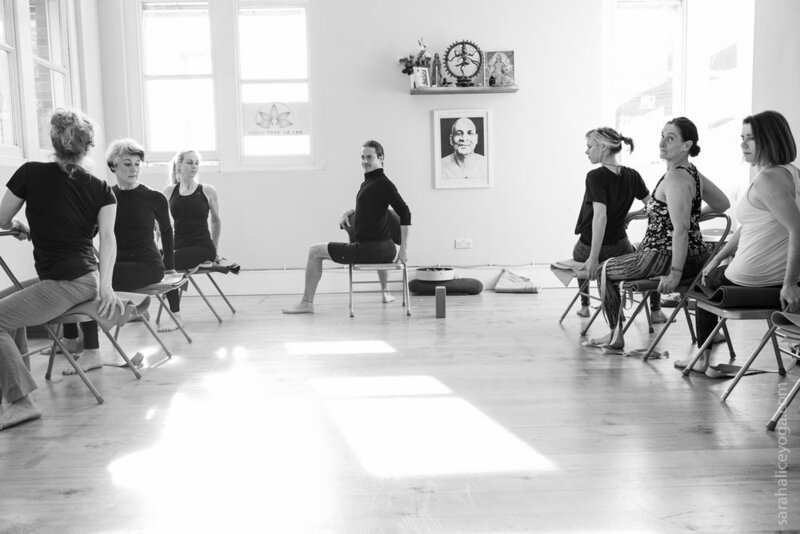 Yoga Tree of Life is the studio created by Nicholas Barrett. Found in the heart of Tunbridge Wells at the Royal Retreat Spa, Nicholas has established a community for yogis of all ages and all levels. As a teacher myself I go to Nicholas as his understanding of alignment and his ability to guide you into a deeper, more connected practice is second to non. My father who has undergone two knee replacements also has loved attending this studio as Nicholas has years of experience with working with injuries and has enabled my Dad to practice with confidence, knowing that the modifications and prop support suggested were aiding in the strengthening and recovery of his joints. I was honoured when Nick approached me to create some images for him. Here are a few favourites. Every once in a while you meet a Yogi and just say "Yes". I instantly connected to Victoria when I met her at Unity Studio in Brighton where we were both holding classes. I would arrive to set up for my Vinyasa Flow class and spy through the studio window to see Victoria and her students hanging in beautiful green silks from the ceiling in a glorious state of Savasana. 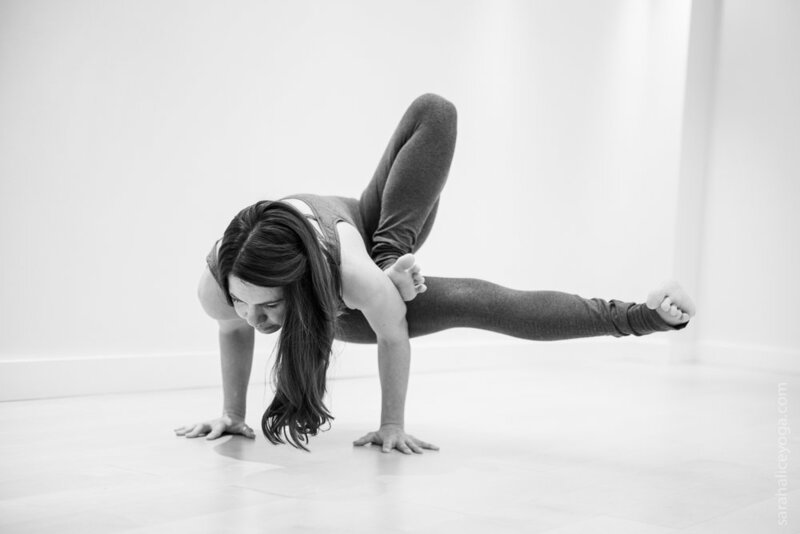 Everything about Arial Yoga appealed to me and when I got talking to Victoria it was obvious why her classes were always full, she is everything you want from a yoga teacher. 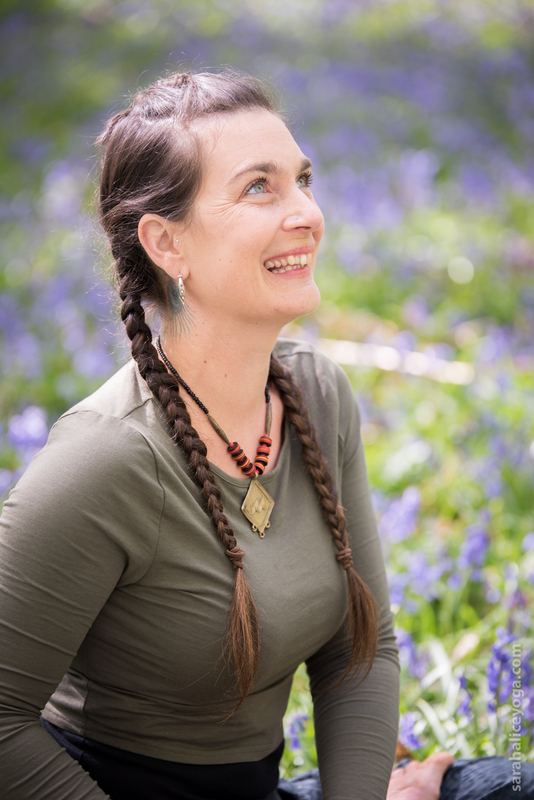 I was very excited when Victoria contacted me to book in a photo shoot, her vision of using a field of Bluebells as the location sounded like a photographers dream, and that is just what it was! Last month we ventured into a magical woodland and captured Victoria in her element. Everybody’s journey to the yoga mat is different, as is the experience of the practice of yoga itself. Whether you like the physical aspects of strength building and stretching or the spiritual connection to yourself that it may induce, we all have our own story to tell. My Journey to Yin Yoga was fraught with an internal battle. I liked to sweat, I liked to move and create fire in my body even when it came to Yoga. I used to be such an exercise addict, craving that sweet serotonin release that comes with a good workout. I was that person who would never sit still. So, the idea of walking into a dimly lit room with relaxing music and for a meditative practice involving sitting still in poses for three to five minutes seemed like the wrong avenue for a hyper gal like me. Then I lived through the Christchurch Earthquakes of 2010 and 2011 and everything changed. The big quakes in themselves were quite the experience but it was the thousands of aftershocks that took their toll on the body. To have constant raised levels of adrenalin, always in that fight or flight mode, resulted in toxic levels of the stress hormone cortisol in my tissues. My physical health and mental health declined rapidly. No amount of running or consumption of wine seemed to achieve a state of relaxation or equilibrium in my body that I was so desperately needing. It felt like I was surviving rather than living. Desperate to find some reprieve I let go of my assumptions of Yin and stepped on to my mat. I finally listened to my body and I understood that I needed to go deeper. Rather than keeping busy, trying to sweep my emotions and stresses under the rug in order to get through each day, I gave myself permission to be still, to stop running, stop with the distractions, stop the numbing and allow myself to feel, truly connect to me. But perhaps I’m getting ahead of myself with my story and should explain what Yin is. There is Yin energy and its opposite Yang energy in everything, from the elements of fire and water to the expression of moods such as ecstasy and sobriety. It refer to the balance in life originating from the teachings Chinese Daoism. Yoga adopted the application of Yin and Yang energies. Yang yoga such as Hatha and Vinyasa draw heat into the body through the exercising of the muscles. 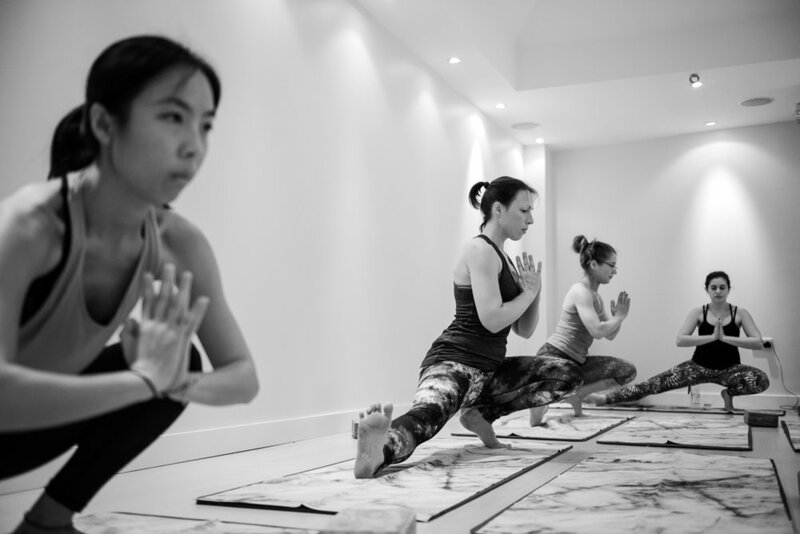 Yin is a cooling practice that accesses the joints, tendons, ligaments and deep fascial networks (the connective tissues of the body), and even the bones stressing them passively to achieve a deep stretch in the body. 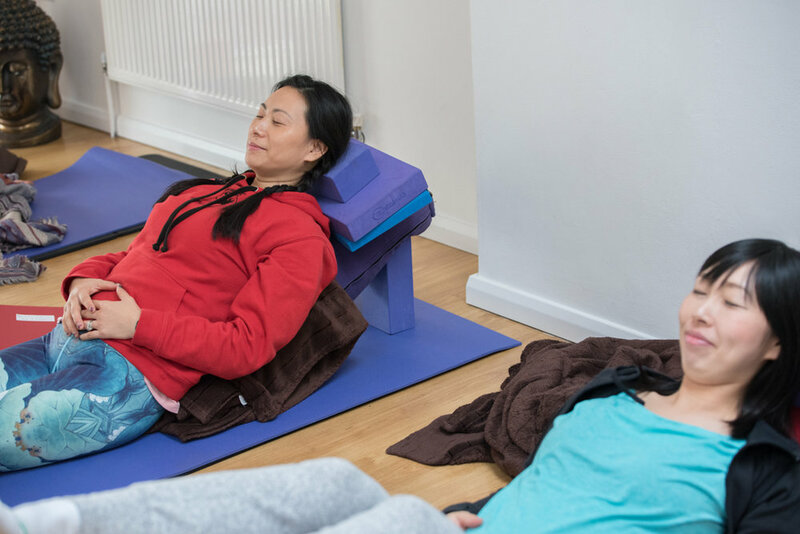 On a physical level, the practice of holding Yin poses allows increased circulation to the joints allowing oxygen to get deep into the connective tissues which heals, rejuvenates, and energises the body, as well as achieve an improved level of flexibility. If you are looking to compliment your hot yoga practice by inviting more openness into the body you will love this practice. But there is more to Yin than just a good stretch. It is improving the connection you have to your body on a deeper platform that can be challenging to articulate. 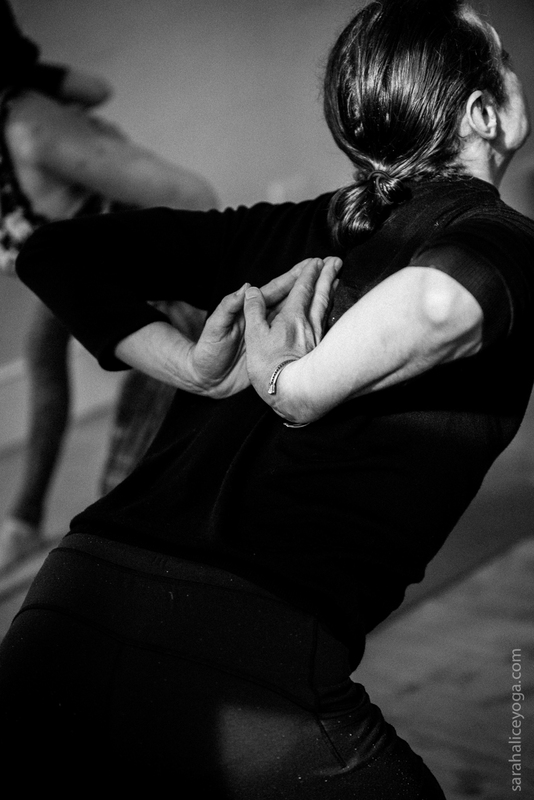 When you sit in deep sensation during a pose and you find that edge where you are no longer in your comfort zone and suddenly your breath becomes the only important focus, you find yourself fully present in the moment. No thoughts of yesterday, projections of the future, those busy thoughts that occupy our minds from the moment we wake up to when we go to sleep and even then, our subconscious has a way of allowing our worries to penetrate our dreams. In these moments of sensation through postures, the awareness of the body takes over and you can find that blissful disconnection from everything else and a reconnection to the true you. There is also the releasing of the “issues in the tissues” and this is where my story ties in. The tissues of the body store our emotions. Every thought you have leads to a physical reaction of the body. You have a fright and the body releases adrenalin, you become stressed and there is that cortisol. Our bodies are very clever things, the body seeks to achieve balance (hello Yin and Yang) so if the Sympathetic Nervous System is in control (fight or flight– Yang) the Para-sympathetic Nervous System kicks in to act as the counterbalance (rest and digest - Yin). But when one system is in use more than the other the body struggles to regain the balance. 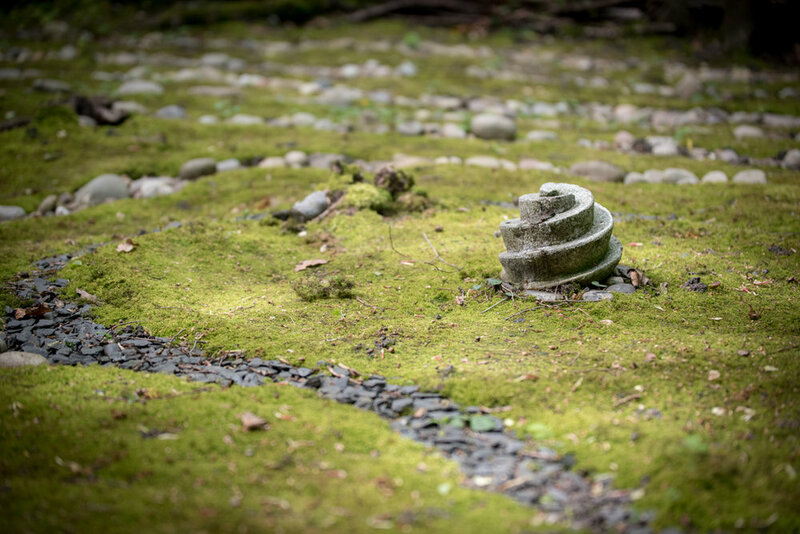 The practice of Yin addresses this imbalance, enabling the release of toxins and hormones to be processed rather than being stored in the body. Of course, the science goes so much deeper than this and yes, I totally geek out on reading about what happens on a cellular level but I won’t elaborate on that for now. The message I’m trying to share is that Yin really did save me when I really needed it and has shaped my lifestyle choices since. Whether you are looking to manage your stress levels, find reprieve from a busy schedule and find some you time, have an emotional release or maybe you just want to condition your body to find a more open Dancers Pose. Whatever your journey may be, you are welcome to the mat. A safe space, a non-judgemental practice where you allow your breath and body guide you to a depth that suits you. I will be leading a Yin Yoga Workshop on Sunday 21st of May 2017 from 12.00-14.00 at Yard Yoga Forest Row. I had the pleasure of doing a photo shoot with the beautiful Yoga teacher Sarah Williams in Brighton recently. Her practice blew me away and she was captivating to photograph. When a dynamic teacher such as Sarah moves in front of the lens I am so inspired creatively and yet I have to stop the urge to put the camera and pull up a mat beside her so that she can guide me in a practice. "Stillness in motion" I have a passion to share everything yoga with you. 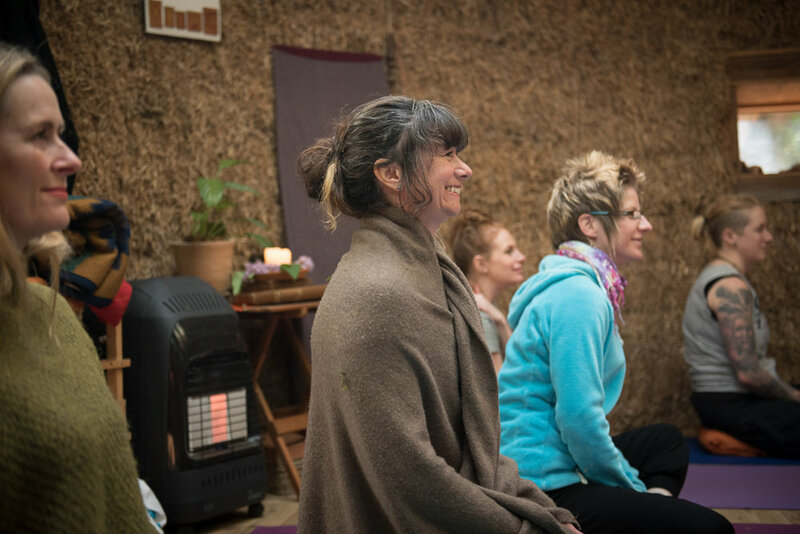 My classes, workshops and retreats are for those of you who want to dive out of the daily grind and start to explore, uncover and connect. Come feel the resonance of this practice in your body, your breath and your heart." When I first moved back to the U.K last year I scoured the South East to find the best Yoga studios, not only to practice at but hopefully teach at too. I was very lucky to find Yard Yoga in Forest Row. 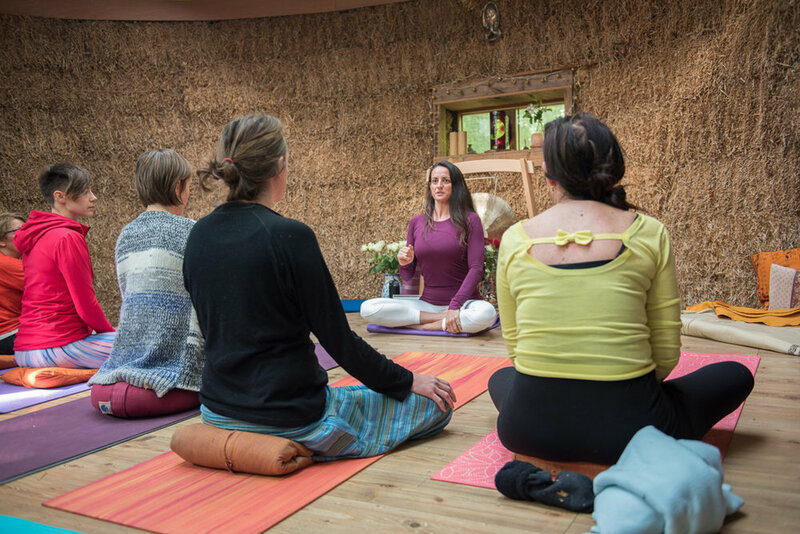 Established by sisters Sarah and Daphne they have created a Yoga haven nested right in the Ashdown Forest. I loved the space and the energy of this studio as soon as I stepped foot in it. In fact I loved it and the picturesque village so much that I chose to make it my home and moved there last month. So when I was invited to capture this gorgeous team in this studio I call my happy place I was excited. I was nervous too, could I do it justice with my images? Well I will let you be the judge of that. Yoga In The Lanes - A journey to the best version of you. We have all seen yoga photo's before, in fact more and more photographers are making it an speciality, but what really makes a good yoga image? That is of course a very subjective but for me it's about working outside the box (or square as kiwi's refer to that expression). When I shoot I look for that connection, the details that makes each students/teachers practice their own. I get low and lie on the floor, I get up high, even been known to climb on someones shoulders to get my shot. I want to capture the collective energy of the room and share what it feels like to work together as a group to create a difference in body and mind. The journey to the best version of you. Here is what I created. What joy in the body it is to sweat and release, powerful stuff! Come and try it for yourself. "ON DISPLAY is a deconstructed art exhibit/fashion show and commentary on the body as spectacle and society's obsession with body image. It turns a cast of diverse and extreme bodies into a sculpture court where the performers are the sculptures. Members of the disability, performance and fashion worlds are often stared at and objectified in their daily lives. ON DISPLAY began as a simple human sculpture court and is now a movement, a growing portfolio of works that explore and demonstrate inclusion through art." Founded by Heidi Latsky Dance, ON DISPLAY is an event that took place all over the planet and I was honoured to be involved with performance in Brighton. I myself was one of the performers for the first installation. It was a daunting experience. To show up wearing no makeup, no jewellery, no use of fashion to adorn me, took me out of my comfort zone and into what can only be expressed as an experience of personal growth. It was just me on display, bearing all my scars, the raw version of myself, inviting people to come close and inspect me and my glorious imperfections. I had to stand like a statue for half an hour having people come up to my face trying to distract me (I even got kissed on the lips) but I remained expressionless and walked away from the experience feeling truly humbled. For the second installation I decided to not perform but to capture my fellow artists. Here are the photographs of these inspiring subjects. Special thanks to BA and Yoga in the Lanes http://yogainthelanes.com for asking me to be apart of this powerful project. It sounds really cliche when I say that I have been on a journey of self love. Such a yogi thing to say but it's the truth and it's changed my world. I spent my childhood training as a gymnast, it was my whole life. Whilst my school mates slept in the mornings I was up at 5am to train and would return after school for another 4- 5 hours of practice. This was five days a week and on weekends I had ballet classes. I was put on a diet at the age of eleven by my coach (I was not overweight at all) and remember the confusion at lunch time when my friends would eat burgers and chips and I was graced with Alfalfa sprouts. At the age of fourteen I spent time training with the British rhythmic gymnastics team, it was a dream come true. At this point I was all muscle and no fat but was aware that I did not look like the beautifully elegant bean pole thin team mates. Then the letter arrived saying that I would not be selected to train for the 2000 Olympics due to not looking the part, that although my performance was as it should be I simply did not have the figure for the sport. There was an end note to my parents requesting that I do not develop any eating disorders as a result of this news. Now we all know that being a teenage girl is a hard time, learning to deal with the changes in your body as you develop into a woman. To be told at such a vulnerable stage of my life that I did not look the way I was supposed to was nothing short of devastating. I won’t go in to the details of how I dealt with the life lessons that brought, but know that it took me until after I finished University to maintain healthy eating habits. I did learn to accept myself then and when I moved to New Zealand to start a fresh and exciting life as an underwater photographer I started to feel validated by the art I created rather then by the way I looked in my wetsuit when making the photographs. Throw in a an abusive relationship to co-inside with the Christchurch Earthquakes when everything in my life literally crumbled to the earth, and suddenly my blossoming spirit got crushed completely. My partner used to ask my everyday when he got home from work if I had been to the gym that day and used to make my breakfasts and packed lunches so that he could control my eating (once again I must state that my weight was perfect for my height and build at this point), stating on numerous occasions that I was too fat to be attractive. By this point I had no confidence left and I actually believed him. Needless to say at this point in my life I was pretty broken on the inside. I was an addict to the gym and when the city centred closed off by the army in response to the earthquake damage, so did the gyms. We had no water at the time so running was not an option as we could not shower (Wet wipes were like gold dust during this time but thats another story for another time). Then I heard that a newly open Yoga Studio (Flow Hot Yoga) on the outskirts of the city had survived was open, running classes and amazingly had their water in tact so blissful showers were available. Needing to get my exercise fix I attended my first hot yoga session there. I can’t remember ever going to the gym and feeling as good in my body as I did after that class, and I knew then that yoga would get me through everything I was battling with not only physically but emotionally. I began a daily practice and found balance in my life. I left the guy and I finally for the first time in my life began to appreciate my body and how it supported me everyday and allowed my move. I started my journey on learning to love myself. My body was healthy and highly functional, I was so grateful that I could honour it with my practice, give back to it by finding openness and space, allowing myself to breathe and work through the stresses in life. So now I am a teacher, and I feel that I am qualified to teach, not just because of my teacher training, but because the personal hardship I have overcome to have the relationship I do with my body. I struggle still sometimes when I have to have photos taken of me for my website, newsletters and articles. I still have that voice that rears up and tells me I don’t look the part. I don’t look like the lithe yogis you see doing impressive poses on Instagram. I have muscle mass and sometimes those muscles challenge me to get into certain poses but this is the whole thing about finding your own personal practice, you work to YOUR body, honouring what it can do. Challenging it yes, but respecting it and it’s limitations and still loving it despite not being perfect. As a teacher I think your greatest lesson to learn and practice is compassion. You have to break and crack open order to allow the light in. Cliche or not I hope this resonates with you and that you find yourself on the mat, appreciating your amazing body. This is my first shoot since arriving back in England and I was lucky enough to have an amazing subject. It was so nice to get to talk about the local yoga community and get creative with the seaside locations. 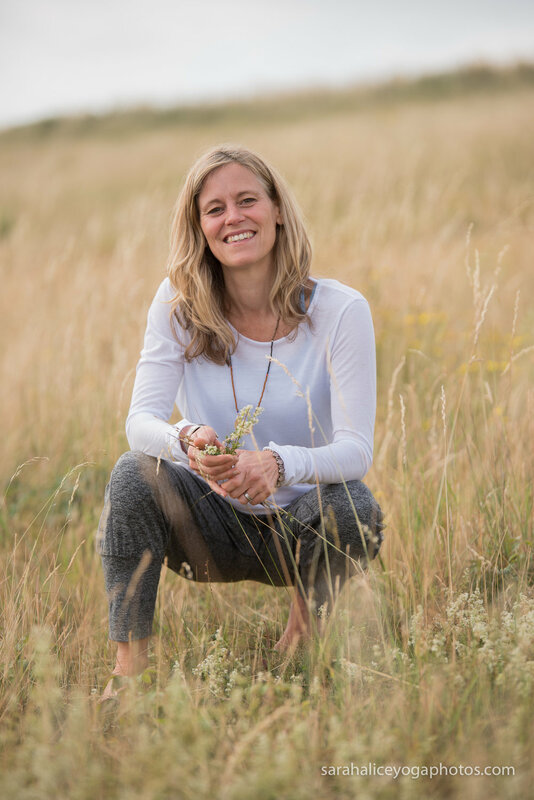 Brighton is buzzing with Wellness activities and with teachers like Holly it's easy to see why. Holly Cooper owns Studio IO, a gorgeous studio space in the heart of Brighton. You know what it's like when you are away from home and think, gosh I need a good yoga session! Or maybe you are looking for a teacher training or wellness retreat in your area? 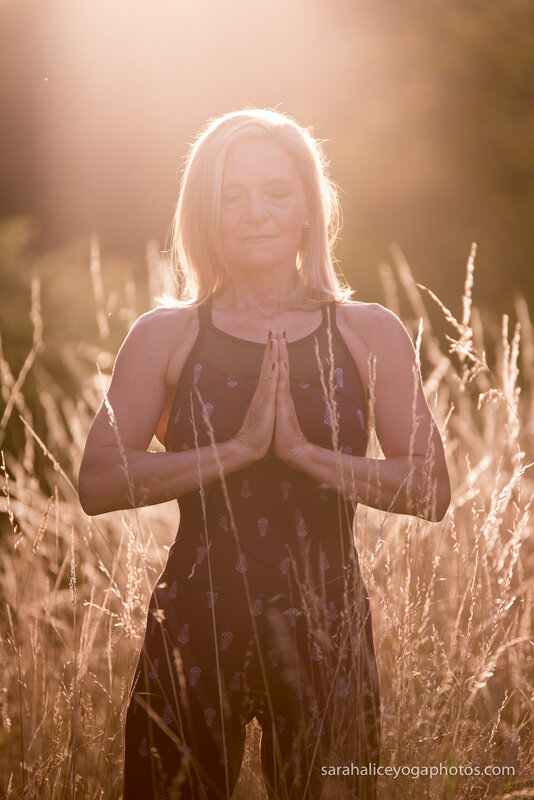 Jane Lowe understood this feeling and created 'The Yoga Connection' to bring the exciting activities of the Yoga community together in one place. I first met Jane when I photographed an event for her and thought she was an incredible. So when she said she needed some head shots I jumped at the chance to get her into the studio. As a photographer my job is not only to operate the camera and get the lighting right, my job is make the subject comfortable and relaxed so that their personality can shine through and be captured in a moment, a look, a laugh. I like to think that when you see these images of Jane you see her glowing energy. 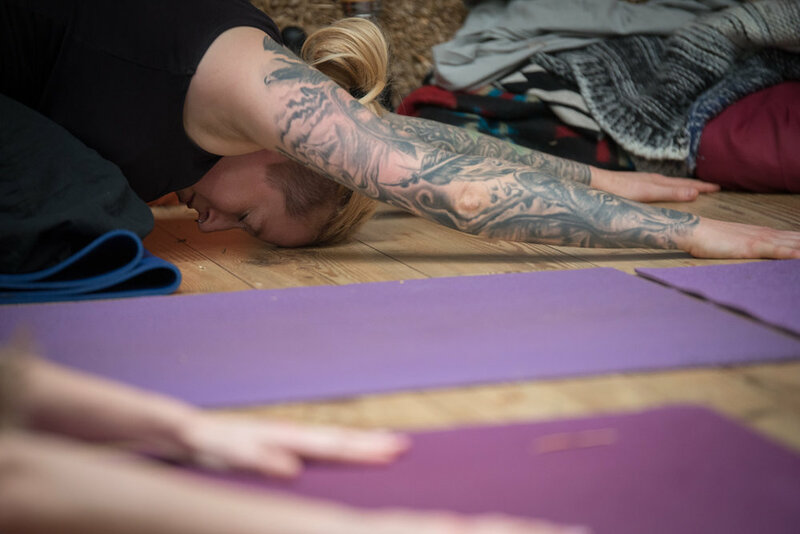 "The Yoga Connection is a hub for all aspects of yogi life; an opportunity to check in and check out what’s on offer – including health and wellness, delicious foodie talk, mindful beauty, and a host of all-round incredible humans making the world a better place." 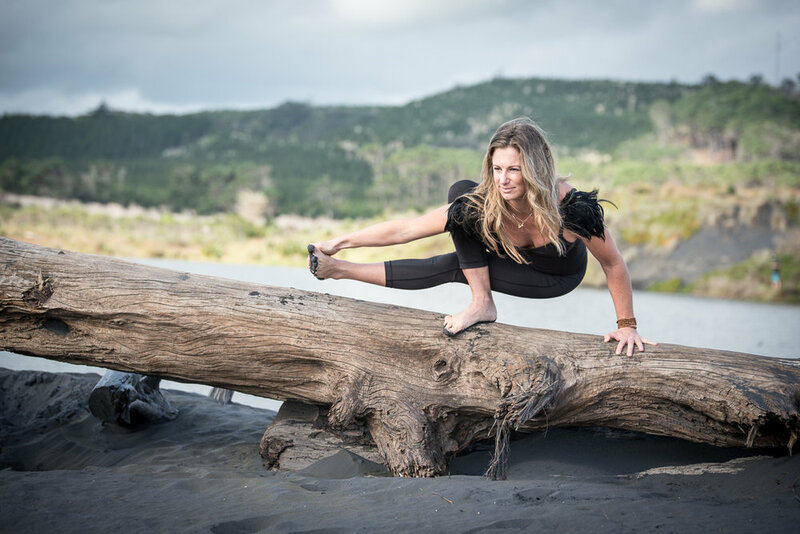 After I completed my teacher training in Bali I returned to New Zealand and really wanted to find a mentor to guide me, not only in my personal practice, but to help me to develop as a teacher. I discovered the studio Urban Ashram in Ponsonby and it felt like coming home. 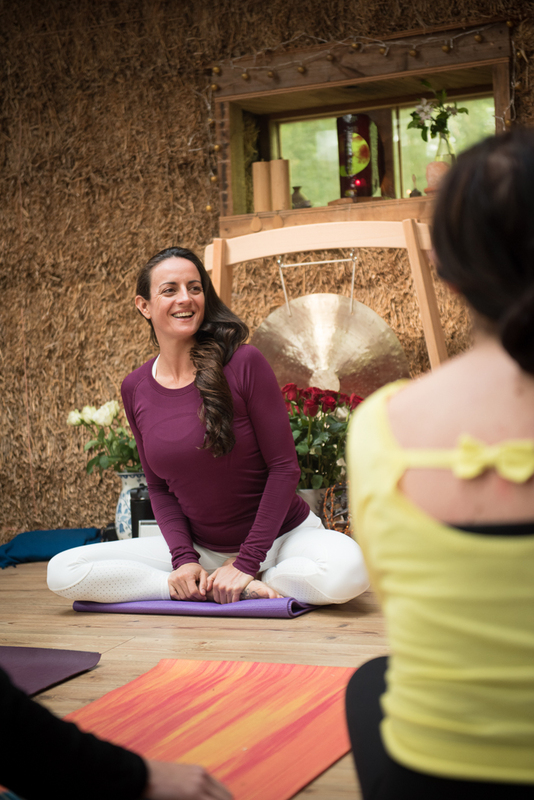 Owned and operated by Nikki Ralston I found everything I was looking for, an inspirational teacher, a gorgeous studio to practice in, a community of gorgeous Yogi's and a Teacher Development Program that allowed me to follow my dream and teach full time upon moving back to the UK. Here is a photo shoot we did together just before I left New Zealand. We planned for a two hour session but had so much fun we ended up spending the whole morning at the beach........yeah that's what happens when I'm inspired! Loved everything about this shoot!